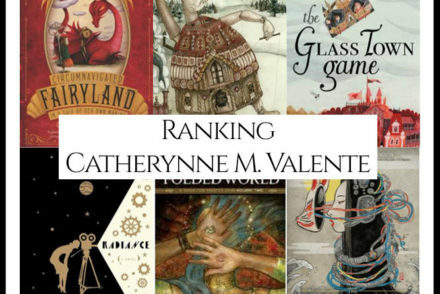 The top 29 titles, all appearing on 3 or more “Best Kindness” book lists, are ranked below by how many lists they appear on. The remaining 225+ titles, as well as the lists we used are in alphabetical order at the bottom of the page. A Reading Rainbow book for your childRecommend by experts for children who are reading independently and transitioning to longer books. Teach kindness, courtesy, respect and friendship: It was the perfect summer. That is, until Jeremy Ross moved into the house down the street and became neighborhood enemy number one. Luckily Dad had a surefire way to get rid of enemies: Enemy Pie. But part of the secret recipe is spending an entire day playing with the enemy! In this funny yet endearing story, one little boy learns an effective recipe for turning a best enemy into a best friend. Accompanied by charming illustrations, Enemy Pie serves up a sweet lesson in the difficulties and ultimate rewards of making new friends. Through simple prose and vivid illustrations, this heartwarming book encourages positive behaviour as children see how rewarding it is to express daily kindness, appreciation, and love. Bucket filling and dipping are effective metaphors for understanding the effects of our actions and words on the well being of others and ourselves. One good turn deserves another – and another – in this universal tale about the contagiousness of being kind. Hen gives Pig an unexpected present. “How kind!” says Pig. Pig is so touched, in fact, that he decides to do something kind too. So Pig gives Rabbit a gift. “How kind!” says Rabbit, who does something kind for Cow, who is kind to Cat, who wants to be kind in turn. Where will all of this kindness lead? Ivan is an easygoing gorilla. Living at the Exit 8 Big Top Mall and Video Arcade, he has grown accustomed to humans watching him through the glass walls of his domain. He rarely misses his life in the jungle. In fact, he hardly ever thinks about it at all. Instead, Ivan thinks about TV shows he’s seen and about his friends Stella, an elderly elephant, and Bob, a stray dog. But mostly Ivan thinks about art and how to capture the taste of a mango or the sound of leaves with color and a well-placed line. Then he meets Ruby, a baby elephant taken from her family, and she makes Ivan see their home—and his own art—through new eyes. When Ruby arrives, change comes with her, and it’s up to Ivan to make it a change for the better. Katherine Applegate blends humor and poignancy to create Ivan’s unforgettable first-person narration in a story of friendship, art, and hope. Mr. Rabbit’s new neighbors are Otters. OTTERS! But he doesn’t know anything about Otters. Will they get along? Will they be friends? Just treat otters the same way you’d like them to treat you, advises wise Mr. Owl. And so begins Mr. Rabbit’s reflection on good manners. In her smart, quirky style Laurie Keller highlights how to be a good friend and neighbor–just follow the Golden Rule! This title has Common Core connections. Do unto others as you would have them do unto you – everybody knows the Golden rule. But where does it come from and why is it important? It’s easy to say, but what does it mean? Why is it called Golden? Here, a grandfather explains to his grandson the importance of this simple rule and demonstrates the wonderful effect following it. Random acts of kindness pictured on a paper quilt Minna and her classmates have been asked by their teacher, Mrs. Bloom, to work on a Kindness Project. Mrs. Bloom wants them to do and draw and share an act of kindness. Minna and her family do lots of kind things, but Minna can’t decide which one is right for her project. Then she starts writing and drawing and cutting—and an idea for a paper quilt picturing many acts of kindness begins to take shape! Important lessons about being kind to each other are depicted in NANCY ELIZABETH WALLACE’s charming artwork using origami, recycled paper, markers, crayons, and colored pencils. Each kindness makes the world a little better Chloe and her friends won’t play with the new girl, Maya. Maya is different–she wears hand-me-downs and plays with old-fashioned toys. Every time Maya tries to join Chloe and her gang, they reject her. Eventually, Maya plays alone, and then stops coming to school altogether. When Chloe’s teacher gives a lesson about how even small acts of kindness can change the world, Chloe is stung by the lost opportunity for friendship, and thinks about how much better it could have been if she’d shown a little kindness toward Maya. This unforgettable book is written and illustrated by the award-winning team that created The Other Side and the Caldecott Honor winner Coming On Home Soon. Winner of Mom’s Choice Award, Teacher’s Choice and Moonbeam Children’s Book Awards A colorful picture book that will warm the hearts of children and adults alike, each of its pages contain endearing examples and vibrant illustrations to inspire children to grow into grateful, caring, and giving people. It provides a wonderful way to calm children before sleep, ease their fears, and help them develop an appreciation for good work. Also included are activity pages to help children practice skills for creating gratitude, compassion, and beauty in daily life. But all the kids are wearing them! Any child who has ever craved something out of reach will relate to this warm, refreshingly realistic story. “I have dreams about those shoes. Black high-tops. Two white stripes.” All Jeremy wants is a pair of those shoes, the ones everyone at school seems to be wearing. But Jeremy’s grandma tells him they don’t have room for “want,” just “need,” and what Jeremy needs are new boots for winter. When Jeremy’s shoes fall apart at school, and the guidance counselor gives him a hand-me-down pair, the boy is more determined than ever to have those shoes, even a thrift-shop pair that are much too small. But sore feet aren’t much fun, and Jeremy comes to realize that the things he has — warm boots, a loving grandma, and the chance to help a friend — are worth more than the things he wants. A simple act of kindness can transform an invisible boy into a friend… Meet Brian, the invisible boy. Nobody ever seems to notice him or think to include him in their group, game, or birthday party… until, that is, a new kid comes to class. When Justin, the new boy, arrives, Brian is the first to make him feel welcome. And when Brian and Justin team up to work on a class project together, Brian finds a way to shine. From esteemed author and speaker Trudy Ludwig and acclaimed illustrator Patrice Barton, this gentle story shows how small acts of kindness can help children feel included and allow them to flourish. Any parent, teacher, or counselor looking for material that sensitively addresses the needs of quieter children will find The Invisible Boy a valuable and important resource. One wintry day, a postman delivers a mysterious package with a big pink bow to a lonely man named Mr. Hatch. “Somebody loves you” the note says. “Somebody loves me!” Mr. Hatch sings as he dusts his living room. “Somebody loves me!” Mr. Hatch whistles as he does his errands in town. “But who, ” Mr. Hatch wonders, “could that somebody be?” After some time, Mr. Hatch discovers just who his secret admirer is and, in doing so, enjoys the biggest surprise of his life! 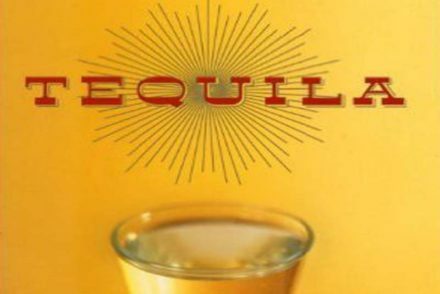 Winner of the 2016 Newbery Medal A 2016 Caldecott Honor Book A 2016 Coretta Scott King Illustrator Honor Book A New York Times Book Review Notable Children’s Book of 2015 A Wall Street Journal Best Children’s Book of 2015 Every Sunday after church, CJ and his grandma ride the bus across town. But today, CJ wonders why they don’t own a car like his friend Colby. Why doesn’t he have an iPod like the boys on the bus? How come they always have to get off in the dirty part of town? Each question is met with an encouraging answer from grandma, who helps him see the beauty—and fun—in their routine and the world around them. This energetic ride through a bustling city highlights the wonderful perspective only grandparent and grandchild can share, and comes to life through Matt de la Pena’s vibrant text and Christian Robinson’s radiant illustrations. Celebrate the fifteenth anniversary edition of this feel-good story that continues to inspire and celebrate a world full of ordinary deeds! Can one child’s good deed change the world? It can when she’s Ordinary Mary—an ordinary girl from an ordinary school, on her way to her ordinary house—who stumbles upon ordinary blueberries. When she decides to pick them for her neighbor, Mrs. Bishop, she starts a chain reaction that multiplies around the world. Updated illustrations and endpapers are now paired with this beloved storyline as it stirs a whole new generation on to more random acts of kindness–proving one child’s compassion and empathy really can change the world. Kadir Nelson, acclaimed author of Baby Bear and winner of the Caldecott Honor and the Coretta Scott King Author and Illustrator Awards, presents a resonant, gently humorous story about the power of even the smallest acts and the rewards of compassion and generosity. With spare text and breathtaking oil paintings, If You Plant a Seed demonstrates not only the process of planting and growing for young children but also how a seed of kindness can bear sweet fruit. This beloved book by E. B. White, author of Stuart Little and The Trumpet of the Swan, is a classic of children’s literature that is “just about perfect.” This high-quality paperback features vibrant illustrations colorized by Rosemary Wells! Some Pig. Humble. Radiant. These are the words in Charlotte’s Web, high up in Zuckerman’s barn. Charlotte’s spiderweb tells of her feelings for a little pig named Wilbur, who simply wants a friend. They also express the love of a girl named Fern, who saved Wilbur’s life when he was born the runt of his litter. E. B. White’s Newbery Honor Book is a tender novel of friendship, love, life, and death that will continue to be enjoyed by generations to come. In the newest addition to Rana DiOrio’s “What Does It Mean To Be…?” series, DiOrio shows that every act of kindness is also an act of courage, and how small gestures can make a big difference to other people, animals, the planet, and even oneself. 10 .) A Sick Day For Amos McGee written by Philip C. Stead and Erin E. Stead. In a spare urban fable, Bob Graham brings us one small boy, one loving family, and one miraculous story of hope and healing. “No one saw the bird fall.” In a city full of hurried people, only young Will notices the bird lying hurt on the ground. With the help of his sympathetic mother, he gently wraps the injured bird and takes it home. In classic Bob Graham style, the beauty is in the details: the careful ministrations with an eyedropper, the bedroom filled with animal memorabilia, the saving of the single feather as a good-luck charm for the bird’s return to the sky. Wistful and uplifting, here is a tale of possibility — and of the souls who never doubt its power. Inspired by real events and told only in pictures, this is an empowering picture book from a New York Times bestselling husband-and-wife team about one girl who inspires a community to stand up to bullying. This simple yet powerful picture book tells the story of an elementary school girl named Vanessa who is bullied and a fellow student who witnesses the act and is at first unsure of how to help. I Walk with Vanessa explores the feelings of helplessness and anger that arise in the wake of seeing a classmate treated badly, and shows how a single act of kindness can lead to an entire community joining in to help. With themes of acceptance, kindness, and strength in numbers, this timeless and profound feel-good story will resonate with readers young and old. When Esperanza finds a heart-shaped rock, she sees it as a reminder to spread kindness and love in the world. But when the school play doesn’t go the way she’d imagined, will she remember to give it to herself? In today’s hypercompetitive world, kids often internalize the message that their worth is attached to their accomplishments and that messing up is something to be ashamed of, rather than a normal part of life, which can lead to critical self-talk. Listening with My Heart reminds us of the other golden rule—to treat ourselves like we would treat a friend. When we do this, we are practicing self-compassion. Listening with My Heart is a beautifully illustrated book that touches on the universal themes of kindness, empathy and self-compassion. It includes kid-friendly self-compassion / mindfulness exercises. “Once there was a tree…and she loved a little boy.” So begins a story of unforgettable perception, beautifully written and illustrated by the gifted and versatile Shel Silverstein. Every day the boy would come to the tree to eat her apples, swing from her branches, or slide down her trunk…and the tree was happy. But as the boy grew older he began to want more from the tree, and the tree gave and gave and gave. This is a tender story, touched with sadness, aglow with consolation. Shel Silverstein has created a moving parable for readers of all ages that offers an affecting interpretation of the gift of giving and a serene acceptance of another’s capacity to love in return. Amos McGee, a friendly zookeeper, always made time to visit his good friends: the elephant, the tortoise, the penguin, the rhinoceros, and the owl. But one day—”Ah-choo!”—he woke up with the sniffles and the sneezes. Though he didn’t make it into the zoo that day, he did receive some unexpected guests. Philip C. Stead’s gently humorous tale of friendship and dedication is illustrated by his wife Erin E. Stead’s elegant drawings, embellished with subtle hints of color. Academy Award winner Dustin Hoffman’s masterful narration brings to life the heartwarming tale of Horton the elephant. Original music and sound effects complement the retelling. Written and illustrated by Kevin Henkes, the nationally bestselling and celebrated creator of Lilly’s Purple Plastic Purse, Owen, and Kitten’s First Full Moon, Chrysanthemum is a funny and honest school story about teasing, self-esteem, and acceptance to share all year round. Chrysanthemum thinks her name is absolutely perfect—until her first day of school. “You’re named after a flower!” teases Victoria. “Let’s smell her,” says Jo. Chrysanthemum wilts. What will it take to make her blossom again? A lyrical and joyful celebration of inclusion and respect First featured as a song on the widely popular Sesame Street, the beloved educational children’s television show, We All Sing with the Same Voice is a joyous read-aloud that embraces the notion that no matter where children live or what they look like, they’re all the same where it counts—at heart! 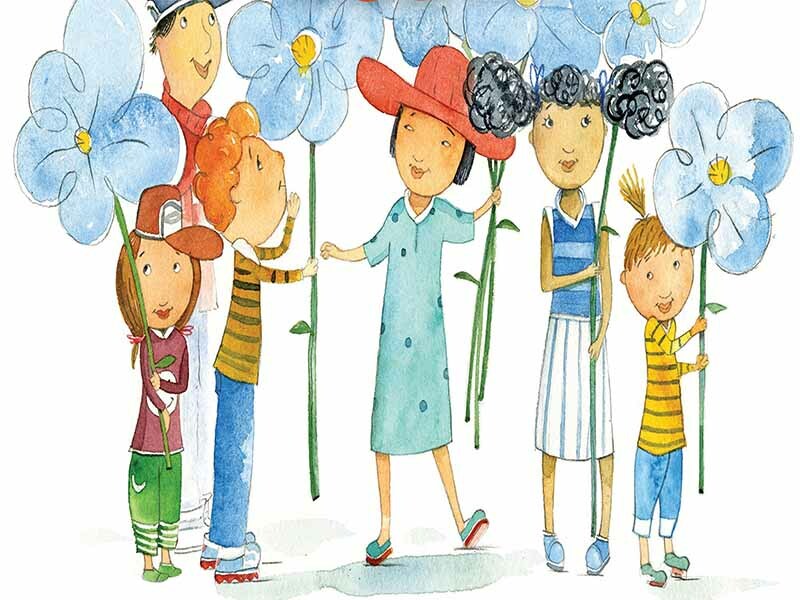 With colorful illustrations from Geisel Honor-winning artist Paul Meisel, this celebration of love and respect has been noted by many teachers and parents as a top pick for teaching empathy. This hardcover edition comes with a CD of the song. I live across the street, In the mountains, On the beach. I come from everywhere, And my name is you. Childhood 101 15 Wonderful Kids Picture Books About Kindness. Kid Approved!